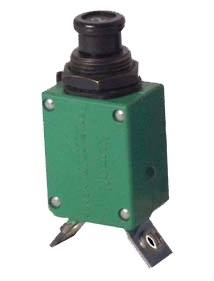 The Klixon® single-pole 2TC devices are the smallest, lightest aircraft circuit breakers available today. They represent “state-of-the-art” protection for today’s aerospace power systems. Their lightweight and small size make them especially well suited for aircraft, avionics, electrical systems, communication systems and defense vehicles (land and air). The Klixon® trademark has historically set the standard for aerospace circuit breakers.